In this day and age of digital marketing, it’s quite common for business owners & marketing managers to ditch traditional marketing strategies. But there’s still a place at the table for traditional marketing strategies. The challenge is to know when and how to deploy traditional marketing as part of an overall marketing mix. Let’s start with looking at what actually constitutes traditional marketing, and then I’ll cover the pros & cons. Print advertising is the traditional marketing strategy with the most longevity. As soon as the Guttenberg press was invented in 1440, it allowed for the printing of books and flyers. Advertising soon followed. Can provide big bold, colorful messages in newspapers, magazines & billboards. Can be tied to performance tracking with toll-free phone numbers, QR codes & website addresses. Can be highly targeted to an audience reading a specific publication. Can reach older audiences who are not as tech-savvy. 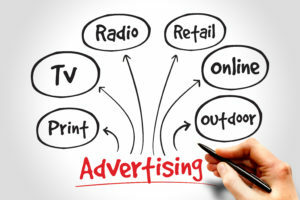 Advertising is typically expensive & requires an up-front investment that’s larger than digital advertising. Can be “shot-gun” (not targeted) especially in the case of billboards. 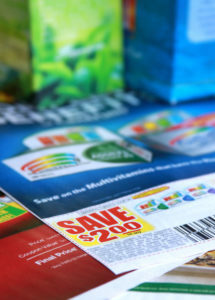 Printed coupons also require some form of distribution (mailing or hand-delivering), and that includes an additional cost. *Note: With today’s Internet-based printing & mailing services, quality color printing is dirt cheap, and these online printers can also handle labeling & mailing. Direct mail campaigns using postcards can still be quite effective, especially when tied to a special offer. Items in an envelope that have to be opened often end up in the recycling bin. But a well-designed, over-sized postcard with a clear message, a clear call to action, and a clear promotion is still effective. That’s because there’s less competition of offers coming through the mail. More businesses rely on digital campaigns. 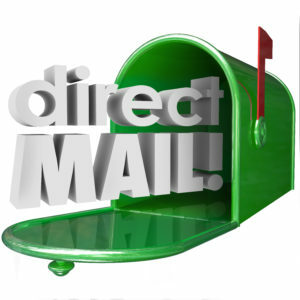 So if you follow best practices for a direct mail postcard, you can actually have a good chance of reaching your target. *Again, today’s online printers can produce postcards in a variety of sizes, as well as mailing services. Door hangers are very much like direct mail postcards. If you follow best practices, they can still be quite effective. 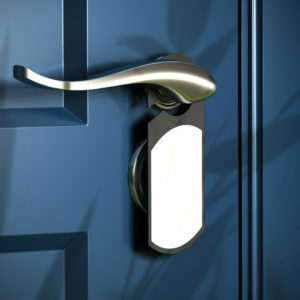 Door hangers must be produced in a format that can be hung on a doorknob where you SEE the message and promotional offer whether you want the message or not. Door hangers that are folded or rolled so you can’t immediately see the message will end up in the recycling bin and are a total waste of time and money. Additional costs are incurred because of printing and distribution expenses. In some businesses and industries, the most effective way to sell is through face-to-face marketing or through strategic alliances that put you in touch with prospective customers. 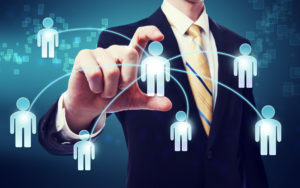 Networking campaigns involve figuring out what people or organizations are in touch with your targeted customer. Once you’ve figured out your pitch, leave-behind materials, and list of folks or organizations with whom you can network, it’s a matter of contacting them, pitching them, and setting up meetings to network and refer business back and forth. For years, industry analysts have been saying that trade shows are a dying industry. Yet the shows keep going on, and people keep attending. No question, this is a pricey strategy. But if budgets permit, taking your sales team on the road, along with a trade show booth, can actually be effective. Why? At trade shows tied to a specific industry or theme, there’s a huge concentration of prospects that come together in one place. 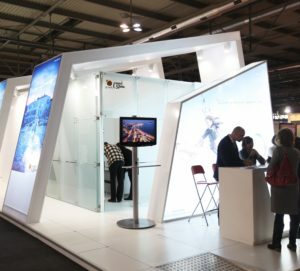 Even with the costs of travel, food, trade show, and registration costs, trade shows can be an effective way to reach a lot of prospective customers in a short period of time. It’s expensive. You’ll be paying for booth space, rental or purchase of a trade show booth, travel expenses for staff, and hidden costs like electrical power for the booth, WiFi hook-ups, loading and unloading the truck carrying the booth, storing booth crates during the show, and more. While many forego traditional marketing strategies and opt just for digital marketing, there are still many circumstances that merit integrating traditional marketing into your marketing mix.